Ever since Prince Harry and Meghan Markle's engagement was announced, her name has been pretty much everywhere. We get it—people are curious about the American actress turned future member of the British Monarchy. Everything from her fashion sense to her beauty routine has been analyzed (in fact, she's even started to influence certain cosmetic surgery trends). It's no surprise then that people would wonder about her natural hair. Is it always that sleek and voluminous or does she have a head of natural curls? According to PopSugar, one British publication undertook a mission to find out. And find out they did. A collage of images of the actress sporting her natural, beautiful curls was posted on social media, and it has since gone viral. Keep scrolling to see Meghan Markle with her naturally curly hair. If you click on this Twitter user's post, you'll see two photos of Meghan Markle from back in her high school days when she attended an all girl's Catholic school in Los Angeles. Her hair, which nowadays seems to be perpetually straight, was full and gorgeously curly. The photos were captioned "Solved my own case! We got curls in the royal palace y'all!!! Starting a petition to get Meghan to wear a fresh wash & go around the palace." We think Markle looks beautiful with her hair both curly and straight. How someone wears their hair is personal and up to them. With that being said, it would be pretty epic to see Markle rock her natural hair around the palace because first off, her curls are beautiful, and second, it would open up a new lens of representation for all the curly-haired girls out there. 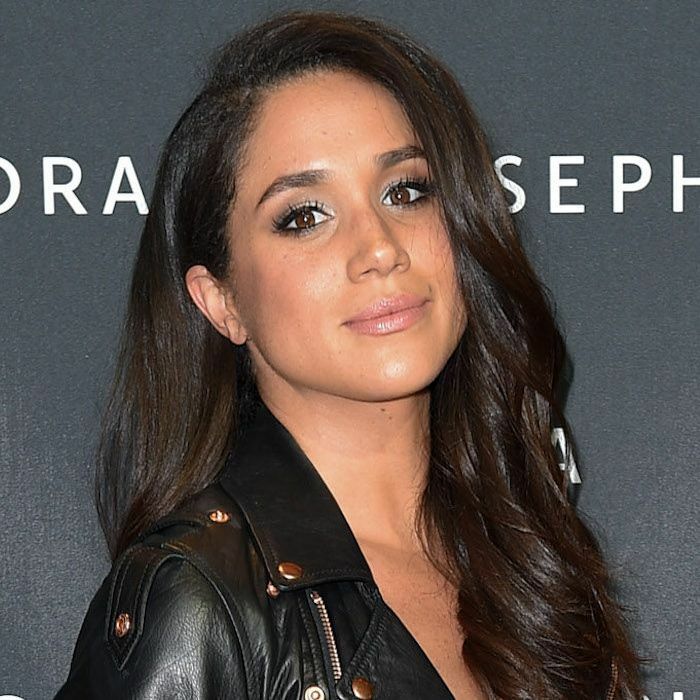 We're bound to learn more about Meghan Markle's hair, makeup, and skincare routines as it gets closer to her royal wedding (and beyond). Until then, we'll be copying the quick beauty hack she does each day in order to awaken her skin and eyes. Head over to PopSugar to see the full article. Then see 31 women of color share their most personal natural hair stories.